EQNEEDF Note: In order to originate this report, every active internet address within the history summary were reviewed in order to verify information used from Wikipedia® a registered trademark of the Wikimedia Foundation, Inc., a non-profit organization, which was used as a guide but more extensively researched and current as of September 2012. Marine Helicopters – 1932- 20?? 1. OP-1 Pitcairn Autogyro (OK not a helo but close) – borrowed a couple for testing but I think it makes the cut because we used it in combat. 28. VH-60 Sikorsky ever “Marine One” or just support? “The squadron is responsible for the helicopter transportation of the President of the United States, Vice President, Cabinet members and VIPs. In addition to its VIP transport role, it is also tasked with operational test and evaluation (OT&E) of new flight systems for Marine Corps helicopters. The squadron currently flies the VH-3D Sea King and the VH-60N Blackhawk. These were due to be replaced by the VH-71 Kestrel, however that program was cancelled in April 2009” (Ref. of List of active United States Marine Corps aircraft squadrons – Wikipedia & Navy web site). Marine Helicopter Squadron One (HMX-1), is a United States Marine Corps helicopter squadron responsible for the transportation of the President of the United States, Vice President, Cabinet members and other VIPs. A Marine helicopter which has the President aboard uses the call sign "Marine One." In addition to its VIP transport role, it is also tasked with operational test and evaluation of new flight systems for Marine Corps helicopters. Nicknamed "The Nighthawks," they are headquartered at Marine Corps Air Facility Quantico, Virginia, and maintain detachments at Naval Support Facility Anacostia in Washington, D.C. and Joint Base Andrews Naval Air Facility in Maryland. References include List of active United States Marine Corps aircraft squadrons at Wikipedia; others and navy web sites all linked hereto. “The squadron trains newly commissioned Naval Aviators, conversion pilots, refresher pilots, and enlisted aircrew on the CH-53E Super Stallion” (Ref. of List of active United States Marine Corps aircraft squadrons – Wikipedia & Navy web site). “Marine Heavy Helicopter Training Squadron 301 (HMHT-301) was originally activated 1 April 1966 at MCAS(H) Santa Ana as Marine Medium Helicopter Training Squadron 301, and assigned to Marine Helicopter Training Group 30, 3d Marine Aircraft Wing, FMF. The squadron was supposed to provide transition/refresher training for CH-46 pilots and crews, but delays in delivery led to the squadron operating the UH-34D and SH-34G/J. The squadron has a long track record of producing fleet ready aviators in aircraft ranging from the UH-34 to the current CH-53D. Aircrew trained at HMT-301 have utilized the core skills learned to serve the United States in conflicts from Vietnam to the present-day global war against terrorism. Originally flying the UH-34 Sea Horse, HMMT-301 was assigned the mission of providing fleet helicopter training to newly designated naval aviators, transition training for fixed wing pilots, and on the job training for enlisted flight crewmembers. By mid-1967, in response to the need for trained helicopter crews for combat duty in Southeast Asia, the number grew to ninety officers and over two hundred enlisted. January 25, 1968 marked the arrival of the Sikorsky CH-53A Sea Stallion helicopter, a heavy-lift capable helicopter, and the redisignation of HMMT-301 as HMHT-301, the Marine Heavy Training Squadron 301. The UH-34 type helicopter retired shortly afterward, once again making the squadron a one-aircraft unit. Redesignated 1 May 1968 as Marine Heavy Helicopter Training Squadron 301. During 1968 the squadron transitioned to the CH-53A and redesignated as HMHT-301. Restructuring of Marine Aviation led to the emergence of Marine Helicopter Training Squadron 301 (HMT-301) on March 31, 1972. The newly designated squadron flew both the CH-46 and CH-53A aircraft. Its subordinate squadrons, HMHT-301 and HMMT-302 were combined to form HMT-301. The squadron produced fleet ready aviators in these aircraft for the next ten years. In 1982 the CH-46 D/F models were replaced by the upgraded CH-46E. On December 13, 1983, HMT-301 took delivery of the first of the new Sikorsky CH-53E Super Stallion helicopters. With the activation of the new table of organization, which reflected the addition of the CH-53E and the Fleet Readiness Aviation Maintenance Personnel (FRAMP) program, HMT-301 officially became the largest squadron in the Marine Corps. HMT-301’s sister squadron, HMT-302, was reactivated in November 1987, and 301’s CH-53A and CH-53E assets were transferred to HMT-302. HMT-301 was reduced from the largest squadron in the Marine Corps to a relatively small squadron with 10 CH-46E aircraft and 200 personnel. HMT-301 was deactivated at Marine Corps Air Station in Tustin, California. The squadron had successfully trained over 2500 Naval Aircrew, flying four different aircraft for over 130,000 hours. HMT-301 served as a composite CH-46/CH-53 training squadron until 31 December 1994, when the squadron deactivated Two years later, on August 24, 1995, HMT-301 returned to the rolls of Marine Corps Aviation, making a new home at its current duty station of Kaneohe Bay. Since its reactivation, the Windwalkers have continued to carry out their assigned mission of training first tour, refresher, conversion, and transition aviators for the CH-53D helicopter community. The squadron has also been tasked to provide support for tactical operations, troop movements, emergency medevacs, VIP transport and static displays. On June 3, 2005, HMT-301 was deactivated for the second time. From its formation in 1966 to its last flight in 2005, HMT-301 has flown over 144,000 hours, trained over 2800 aircrew, and been awarded the CNO safety award 7 times” (Ref. http://en.wikipedia.org/wiki/HMT-301; http://hma1369.tripod.com/301.html & http://www.marines.mil/unit/2ndmaw/mag29/hmt302/FRO%20Documents/WelcomeAboardJan2011.pdf ). Marine Heavy Helicopter Training Squadron 302 (HMHT-302) is a United States Marine Corps helicopter training squadron stationed at Marine Corps Air Station New River, North Carolina. Known as the "Phoenix", HMHT-302 trains newly commissioned Naval Aviators, conversion pilots, refresher pilots, and enlisted aircrew on the CH-53E Super Stallion and falls under the command of Marine Aircraft Group 29 (MAG-26) and the 2nd Marine Aircraft Wing (2nd MAW). “Marine Helicopter Training Squadron 302 was originally designated Marine Medium Helicopter Training Squadron 302 (HMMT-302), on 1 November 1966, at Marine Corps Air Facility, Santa Ana, California, and assigned to Marine Helicopter Training Group 30, 3d Marine Aircraft Wing, Fleet Marine Force. The squadron was tasked with training newly designated Naval Aviators and conversion pilots to fly the Boeing-Vertol CH-46 Sea Knight. It was to serve alongside HMT-301 as a CH-46 training squadron. Upon deactivation, HMMT-302 had accumulated 34,850.7 flight hours without mishap. On 31 March 1972, personnel from HMT-302 were merged with Marine Heavy Helicopter Training Squadron 301 (HMT-301), to form the newly designated Marine Helicopter Training Squadron 301 (HMT-301), conducting pilot training in the CH-46F and CH-53A helicopters. The restructured HMT-301 was attached to Marine Aircraft Group 16. In December 1983, the squadron began training CH-53E Replacement Aircrew (RAC), and later established the Fleet Readiness Aviation Maintenance Personnel (FRAMP) department to train CH-53E enlisted mechanics and technicians. On 20 November 1987, the squadron was reactivated and designated Marine Helicopter Training Squadron 302(HMT-302) attached to Marine Aircraft Group 16 flying both the CH-53A and CH-53E helicopters. The FRAMP accompanied the helicopters to HMT-302 and in 1991, added the CH-53A/D to their curricula. On 22 October 1993, Naval Air Maintenance Training Group Detachments (NAMTRAGRUDETS) 1028 and 1032, TME-32, and FRAMP combined and reorganized into the Fleet Replacement Enlisted Skills Training (FREST) department. In September of 1994, the squadron became the only Navy or Marine Squadron ever to fly three models of Sikorsky H-53 aircraft as it incorporated Navy MH-53E's from Helicopter Mine Countermeasures Squadron 12 (HM-12) and assumed the RAC and FREST training responsibilities for the Navy's MH-53E community. In June 1995, the squadron relinquished responsibility for the training of CH-53D aircrew and transferred four CH-53D aircraft to stand up HMT-301 in Hawaii. HMT-302 relocated to MCAS New River, North Carolina, and became the CH-53E training unit for both the Navy and Marine Corps and reassigned to Marine Aircraft Group 29, 2d Marine Aircraft Wing, Fleet Marine Force. Between 9 January and 23 January 1996, HMT-302 safely executed a transcontinental move to MCAS, New River, North Carolina. The transfer became effective in February 1996 when HMT-302 officially attached to MAG-29. In March to April 1998, HMT-302 deployed to South Africa in support of Presidential Operations -- the first Fleet Replacement Squadron to deploy overseas for a real world military operation. As of 4 March 2003, HMT-302 has surpassed 82710 Class A mishap-free flight hours in Sikorsky H-53 helicopters. The squadron provides flight training for newly commissioned Naval Aviators, conversion pilots, refresher pilots, and enlisted aircrew in the CH-53E Super Stallion. Redesignated 2 August 2010 as Marine Heavy Helicopter Training Squadron 302 (HMHT-302)” (Ref. http://hma1369.tripod.com/302.html; http://en.wikipedia.org/wiki/HMT-302 & http://www.marines.mil/unit/2ndMAW/mag29/hmt302/Pages/history.aspx ). Activated 31 January 1967 Deactivated 15 July 1971. Marine Aviation Logistics Squadron 16 (MALS-16) is an aviation logistics support unit of the United States Marine Corps. Known as the Forerunners, they are currently based at Marine Corps Air Station Miramar and fall under the command of Marine Aircraft Group 16 (MAG-16) and the 3rd Marine Aircraft Wing (3rd MAW). MALS-16 was activated on 1 March 1952, as Headquarters Squadron 16 (H&HS MAG-16) at Marine Corps Air Facility Santa Ana, California. “The primary mission of the squadron was to provide logistical and administrative support for units attached to the newly formed Marine Aircraft Group 16 and its squadrons. The squadron remained at MCAF Santa Ana until the end of July 1953 when all of the MAG-16 began movement to Japan and became part of the 1st Marine Aircraft Wing. On 14 August 1953, the squadron commenced operations at Hanshin Auxiliary Air Base, Honshu, Japan. On 15 February 1954, the unit was redesignated as Headquarters and Maintenance Squadron 16 (H&MS-16) and given the additional mission of providing intermediate level aviation maintenance support for MAG-16 units. During April 1954, the squadron moved to Naval Air Facility Oppama. During the squadron's seven year stay in Japan, elements of the unit participated in numerous operations and exercises included "Strong Back" in 1958, "Sea Turtle"in 1959, and "Blue Star" in 1960. On 1 October 1988 H&MS-16 was redesignated as Marine Aviation Logistics Squadron 16 (MALS16). This change provided a new organizational structure to better serve the requirements of MAG-16’ squadrons and to meet the challenges of Marine Air-Ground Task Force (MAGTF) deployments. On 20 August 1990, MALS-16 established a significant number of firsts in Marine and Naval Aviation: the first MALS to deploy, first MALS to deploy in support of combat operations the first MALS to deploy aboard an Aviation Logistics Support Ship (T-AVB), SS Curtiss T-AVB-4. H&MS-16 served in Vietnam (1965-71); MALS-16 deployed in support of Operation Desert Shield/Storm (1990-91). MALS-16 has twice won the Secretary of Defence Maintenance Award (1988, 1991) and was winner of the Phoenix Trophy in 1991. During 2003, MALS-16 was deployed to Iraq in support of Operation Iraqi Freedom” (Ref. http://hma1369.tripod.com/mals16.html ). Marine Aviation Logistics Squadron 24 (MALS-24) is an aviation logistics support unit of the United States Marine Corps. Known as the "Warriors", they fall under the command of Marine Aircraft Group 24 (MAG-24) and the 1st Marine Aircraft Wing (1st MAW) and are currently based at Marine Corps Base Hawaii. • Activated 1 March 1942 at Ewa, Oahu, Territory of Hawaii, as Headquarters and Service Squadron 24 and assigned to Marine Aircraft Group 24, 2D Marine Aircraft Wing, Fleet Marine Force. • Redesignated 1 October 1994 as Marine Aviation Logistics Support Element, Kaneohe , the squadron was assigned to Aviation Support Element, 1st Marine Aircraft Wing, III Marine Expeditionary Force, Marine Forces Pacific, United States Marine Corps. • In October 1998, Marine Aviation Logistics Support Element Kaneohe, assumed Administrative Control for Mobile Maintenance Facility Charlie, from Misawa, Japan, to augment the Intermediate Maintenance Activity support of Commander Patrol and Reconnaissance Force Pacific Squadrons relocating to MCBH Kaneohe due to Base Realignment and Closure initiative of 1994. • In June 1999, Marine Aviation Logistics Support Element Kaneohe, assumed all Intermediate Maintenance Activity support for Commander Naval Air Forces Pacific assigned aircraft relocating to MCBH Kaneohe Bay, from Naval Air Station, Barbers Point and support for Pacific Missile Range Facility Kauai, due to Base Realignment and Closure initiative of 1994. • In February 2002, redesignated as Marine Aviation Logistics Squadron 24. Honors awarded to Marine Aviation Logistics Squadron 24 include the Navy Unit Commendation Streamer with one Bronze Star, Meritorious Unit Commendation with one Bronze Star, Asiatic-Pacific Campaign Streamer with four Bronze Stars, World War II Victory Streamer, National Defense Service Streamer with three Bronze Stars, China Service Streamer, Armed Forces Expeditionary Streamer, Southwest Asia Service Streamer with three Bronze Stars, Global War on Terrorism Service Streamer, Philippine Liberation Streamer, and the Phillipine Presidential Unit Citation Streamer. Used MALS-24 insignia with "Marine Aviation Logistics Support Element Kaneohe" on bottom scroll. Marine Aviation Logistics Squadron 26 (MALS-26) is an aviation logistics support unit of the United States Marine Corps. They are currently based at Marine Corps Air Station New River, North Carolina and fall under the command of Marine Aircraft Group 26 (MAG 26) and the 2nd Marine Aircraft Wing (2nd MAW). Marine Medium Helicopter Squadron 261(HMM-261), the "Raging Bulls", was activated on 5 April, 1951 at MCAS Cherry Point, N.C., as Headquarters and Headquarters Squadron MAG-26 (HEDRON MAG-26). and designated Marine Helicopter Transport Squadron (HMR) 261. “On 16 June 1952, Headquarters and Headquarters Squadron 26 (H&HS-26), Marine Corps Air Station Cherry Point, North Carolina. Redesignated 15 February 1954 as Headquarters and Maintenance Squadron 26 (H&MS-26). Relocated during July 1954 to New River, North Carolina” (Ref. http://hma1369.tripod.com/mals26.html ). The squadron relocated to Marine Corps Air Station New River, North Carolina and was assigned to Marine Aircraft Group 26, 2nd Marine Aircraft Wing in July 1954. 1960s to 1980s. H&MS-26 continued supporting efforts throughout the world. The squadron supported the Cuban Missile Crisis in 1962, Operations Nimbus Star, Moon, and Steam I near Cyprus in 1974, the NEO of American citizens from Beirut, Lebanon in 1982, Operation Urgent Fury in Grenada in 1983 and Operation Praying Mantis in 1988” (Ref. Facebook). Throughout its history, HMM-261 has carried the tail code of "EM" on its helicopters. In 1954, the squadron moved from Cherry Point to MCAS New River, N.C. In 1956, the squadron was redesignated” (Ref. http://hma1369.tripod.com/mals26.html ). “Marine Helicopter Transport Squadron (Light) (HMR(L)) to reflect the acquisition of HUS helicopters to replace its HRS-1 helicopters. The squadroon was, during this period, the first helicopter squadron to conduct troop lifts on the East coast. In 1959, the Bulls deployed to Japan before returning to New River the next year. In 1961, the squadron returned to Okinawa, Japan and was redesignated Marine Medium Helicopter Squadron (HMM) 261. The squadron was, by then, flying the H-34 helicopter. In 1963, the Bulls were assigned to Marine Air Group (MAG) 16, based in DaNang, Republic of Vietnam. The Raging Bulls returned in late August and decomposited by early Sept” (Ref. Global Security). Marine Aviation Logistics Squadron 29 (MALS-29) is an aviation logistics support unit of the United States Marine Corps. Known as the "Wolverines", they fall under the command of Marine Aircraft Group 29 (MAG 29) and the 2nd Marine Aircraft Wing (2nd MAW) and are currently based at Marine Corps Air Station New River. Provide aviation logistics support, guidance, planning and direction to Marine Aircraft Group squadrons on behalf of the commanding officer, as well as logistics support for Navy funded equipment in the supporting Marine Wing Support Squadron (MWSS), Marine Air Control Group (MACG), and Marine Aircraft Wing/Mobile Calibration Complex (MAW/MCC). Headquarters and Maintenance Squadron 29 (H&MS-29) at Marine Corps Air Station New River, North Carolina and assigned to Marine Aircraft Group (MAG) 29 on 1 May 1972. During the years from 1972 through 1976, H&MS-29 operated the MAG-29 Aerial Observer School and performed its primary mission as an Intermediate Maintenance and Supply support activity. During the years from 1972 through 1976, H&MS-29 operated the MAG-29 Aerial Observer School and performed its primary mission as an Intermediate Maintenance and Supply support activity. During that time frame, the Squadron deployed Marines to support numerous operations at Yuma, Arizona; Camp Drum, New York; the Caribbean, and in both land and sea-borne operations in and around the Mediterranean and the Middle East. The Supply Department implemented the Operational Logistics Concept (OLC) in 1976. The Squadron was activated as Headquarters and Maintenance Squadron (H&MS) 29 at Marine Corps Air Station New River, North Carolina and assigned to Marine Aircraft Group (MAG) 29 on 1 May 1972. During the years from 1972 through 1976, H&MS-29 operated the MAG-29 Aerial Observer School and performed its primary mission as an Intermediate Maintenance and Supply support activity. During that time frame, the Squadron deployed Marines to support numerous operations at Yuma, Arizona; Camp Drum, New York; the Caribbean, and in both land and sea-borne operations in and around the Mediterranean and the Middle East. The Supply Department implemented the Operational Logistics Concept (OLC) in 1976. From 1977 through 1984, Squadron detachments distinguished themselves by simultaneously augmenting shipboard Aviation Intermediate Maintenance Departments (AIMD) while optimizing aircraft availability in joint exercises such as Northern Wedding, Bold Guard, Teamwork, Display Determination, ANORAK Express, and in operations with the Multinational Forces in Beirut, Lebanon. From 1985 through 1989, H&MS-29 supported over 200 deployments in support of MAG-29 operations, which included Combined Arms Exercises, Weapons and Tactics Instructor Courses, Cold Weather Operations, Landing Force Sixth Fleet deployments, Drug Operations, and Joint Operations spanning from the Persian Gulf and Okinawa to Norway and South America. On 1 October 1988, H&MS-29 was re-designated as Marine Aviation Logistics Squadron 29 (MALS-29) as a result of the implementation of the Marine Aviation Logistics Support Package concept. Throughout its history, H&MS-29 averaged an induction rate of over 1200 repairable items each month, and held an inventory of 35,000 line items of repairable and consumable materials with a value in excess of $110 million. Through intermediate maintenance and supply, the Squadron supported 13 different type model series aircraft. On 1 October 1988, H&MS-29 was re-designated as Marine Aviation Logistics Squadron (MALS) 29 as a result of the implementation of the Marine Aviation Logistics Support Package concept. During 1989, the Basic Warrior Training Program was instituted and the Squadron provided simultaneous aviation logistical support to three composite squadrons. In August 1990, MALS-29 commenced its support of Operation Desert Shield by deploying four detachments aboard L-Class ships in direct support of Marine Aircraft Group 40 (MAG-40), 4th Marine Expeditionary Brigade. Additionally, during December 1990, MALS-29, under the operational control of Marine Aircraft Group 26 (MAG-26), deployed to Southwest Asia. MALS-29 was a participant in Operation Desert Storm and distinguished itself with several first-time aviation logistics actions, including operating a fully functional rotary wing Intermediate Maintenance Activity aboard the USS Wright (TAVB-3), while continuously supporting MAG-26 during the ground war. On 22 May 1991, the squadron recalled its personnel, who were disbursed throughout the Kuwaiti theater of operations, and during June 1991, redeployed itself at MCAS New River, NC. The reconstitution of the Intermediate Maintenance Activity in support of MAG-29 was completed on 1 August 1991. From 1992 through 1999, MALS-29 continued to support MAG-29 tactical aircraft operations. Over this period, the Squadron underwent extensive changes in personnel and logistical support with the decommissioning of VMO-1 and the transfer of HMT-302 to MAG-29. During 1996, participation in Operation Decisive Endeavor in Bosnia, Operation Assured Response in Liberia, Operation Silver Wake in Albania, and tactical operations in Zaire demonstrated MALS-29's ability to provide expeditionary support around the globe. In 1999, participation in Operation Allied Force, Operation Allied Harbor, Operation Noble Anvil and Operation Joint Guardian placed the MALS-29 detachment within the Aviation Combat Element of the 26th Marine Expeditionary Unit (26th MEU) in support of the Ground Combat Elements peacekeeping mission surrounding the Kosovo Conflict.. Before returning home, the MEU was called to Turkey for disaster relief from the tragic earthquakes for Operation Avid Response. Operational tempo remained high as MALS-29 entered the new millennium. A modified Air Contingency Marine Air Ground Task Force (ACM), with a MALS-29 Detachment, was executed to the island of Vieques, Puerto Rico to assist U.S. Marshals in removing American Citizens from the last naval live ordnance bombing range. Additionally, Second Marine Aircraft Wing designated MALS-29 as the Host MALS for Exercise CAROLINA PATRIOT, the activation of the Aviation Logistics Support Ship (T-AVB). Compositing personnel and equipment from all four Marine Aircraft Wings, MALS-29 (-) (Rein) deployed as an Intermediate Maintenance Activity (IMA) afloat in support of a MAGTF Aviation Combat Element (ACE) for a contingency operation. The 295 Marines and Sailors, and 147 Mobile Maintenance Facilities (MMF), was the largest unit ever to marshal, embark aboard the SS Wright, operate as an Aviation Logistics Element, then retrograde to their respective parent MALS. In January 2003, MALS-29 deployed in support of Operation Enduring Freedom and a possible larger scale conflict in Iraq. The squadron developed a unique and flexible concept of logistics support while embarking personnel, equipment, and supplies aboard four L-class ships as part of Task Force Tarawa. From multiple sites throughout the theater and deep into Iraq, MALS-29 supported more than 6,000 flight hours and over 3,700 combat sorties during Operation Iraqi Freedom, giving MAG-29 over 400 miles (640 km) of reach inland and the flexibility to leapfrog great distances in pursuit of operational objectives. Throughout the duration of combat operations, MAG-29 squadrons maintained a combined average 81 percent mission capable rate and a 60 percent full mission capable rate. In the unprecedented time of less than three weeks, MALS-29 developed a unique and flexible concept of logistics support while embarking personnel, equipment, and supplies aboard four L-class ships as part of Task Force Tarawa. Innovatively adapting current aviation logistics doctrine, utilizing Sea Based Logistics Concepts, MALS-29 integrated Marines into the Aviation Intermediate Maintenance Department (AIMD) of the supporting L-class ships to create a sustainable, scaleable, and highly capable sea-based support structure for the four flying squadrons of MAG-29. From multiple sites throughout the theatre and deep into Iraq, MALS-29 supported more than 6,000 flight hours and over 3,700 combat sorties during Operation Iraqi Freedom, giving MAG-29 over 400 miles of reach inland and the flexibility to leapfrog great distances in pursuit of operational objectives. Throughout the duration of combat operations, MAG-29 squadrons maintained a combined average 81 percent Mission Capable rate and a 60 percent Full Mission Capable rate, the highest readiness rates of any Rotary Wing MAG in theatre. By the end of June 2003, MALS-29 had accomplished its mission and had begun the extensive maintenance required after six months of flying combat missions in the austere desert environment. While accomplishing this reconstitution phase, MALS-29 stood ready for the next mission, which was not long in coming. In August, MALS-29 began planning to support HMH-464 as they took over the Heavy Lift Mission in Combined Joint Task Force Horn of Africa (CJTF HOA). Rejecting the status quo logistics support plan in place, MALS-29 pioneered a support plan to leverage global logistics and shorten the existing gap between the point of entry for supplies and the supported aircraft by 6,000 miles. MALS-29 FWD was stood up in October, embedding skilled personnel, a robust support equipment cache, and a carefully tailored support package with supported aircraft. Aircraft readiness has risen by nearly 50% since MAG-29 took over the mission, providing another example of the effect of Wolverine Logistics Support. In March 2004 Wolverine Logistical Support was called upon via the activation of the Air Contingency MAGTF in support of security operations with MAGTF-8 in Haiti. In March 2004, the Wolverine logistical support was called upon via the activation of the Air Contingency MAGTF in support of security operations in Haiti. MALS-29 deployed again to Iraq in support of Operation Iraqi Freedom in January 2007 for one year and returned February 2008. In January 2007, MALS-29 received orders to deploy again in support of Operation Iraqi Freedom. From multiple sites throughout the Al Anbar Province of Iraq, MALS-29 supported more than 108,100 flight hours and over 71,216 combat sorties during OIF 06-08. Giving MAG-29 the capability to support the more than 30,000 square miles of Al Anbar Province, utilizing a total of 32 different squadrons and the flexibility to establish multiple forward operating bases in pursuit of the operational objectives. Throughout the duration of combat operations, MAG-29 squadrons maintained a combined average 85.3 percent Mission Capable rate and a 71.6 percent Full Mission Capable rate. Using the tools and methodologies of AIRSpeed, MALS-29 was able to better support the ongoing combat support mission in Iraq. MALS-29 Marines successfully implemented an AIRSpeed philosophy of Continuous Process Improvement by conducting Lean 5S events in every work space occupied by MALS-29 at Al Asad Air Base and Camp Al Taqaddum. As a result, MALS-29 was able to dramatically improve the ability to support air operations in Al Anbar Province, Iraq. By the end of January 2008, MALS-29 had completed 13 months in theater and one of the most successful and productive deployments of any MALS in history. Marine Aviation Logistics Squadron 31 (MALS-31) is an aviation logistics support unit of the United States Marine Corps. Known as the "Stingers", they fall under the command of Marine Aircraft Group 31 (MAG-31) and 2nd Marine Aircraft Wing (2nd MAW) and are currently based at Marine Corps Air Station Beaufort. Provide aviation logistics support, guidance, planning and direction to Marine Aircraft Group squadrons on behalf of the commanding officer, as well as logistics support for Navy funded equipment in the supporting Marine Wing Support Squadron (MWSS), Marine Air Control Group (MACG), and Marine Aircraft Wing/Mobile Calibration Complex (MAW/MCC). World War II Headquarters Squadron 31 (HQSQ-31) was activated on 1 February 1943 at Marine Corps Air Station Cherry Point, North Carolina, as an element of the 3rd Marine Aircraft Wing, Fleet Marine Force. Six month later, Headquarters Squadron 31 as part of MAG-31, was en route to Miramar, California, finally departing the United States from San Diego, California, embarked on board the USS Nassau and USAT Puebla. On 10 November 1944, the 4th Marine Bases Defense Air Wing, was redesignated to the 4th Marine Aircraft Wing. On 11 March 1945, MAG-31, became part of the 2nd MAW. Headquarters Squadron 31 and other MAG-31 elements began moving from Roi-Namur Island, sailing for the most active front at that time-the Battle of Okinawa. Ground personnel of MAG-31 went ashore on Okinawa on 3 April 1945 to prepare to support MAG-31, which landed from the USS Sitkoh Bay and began operations four days later. En route from the carrier to shore, two MAG-31 pilots shot down a Japanese bomber making a suicide run on their CVE, and gave MAG-31 the distinction of having the first land based aircraft to make a kill in the Okinawa campaign. In the midst of the Korean War, MAG-31 was reactivated on 17 March 1952, with its subordinate elements, at Marine Corps Air Station, Cherry Point, NC, but its location was shortly changed when it moved to Marine Corps Air Station Miami, Florida. A major redesignation occurred on 15 February 1954, as the squadron became Headquarters and Maintenance Squadron 31 (H&MS-31). Marine Aircraft Maintenance Squadron 31 was disbanded and its personnel transferred to Headquarters and Maintenance Squadron 31. Headquarters and Maintenance Squadron 31 was redesignated on 22 August 1958 to become part of the 2nd Marine Aircraft Wing. The squadron along with the group was reduced to a paper organization as it moved to Cherry Point with a small complement of personnel. On 31 January 1959, MAG-31 and its squadron were deactivated at Cherry Point. In October 1988, Headquarters and Maintenance Squadron 31 was redesignated Marine Aviation Logistics Squadron 31 (MALS-31) and transferred it's A-4 Skyhawk aircraft to Davis Monthan Air Force Base, Arizona. MALS-31 successfully completed the transformation of its aviation logistics support mission from F-4 Phantom IIs to the F/A-18 Hornet in 1990. Since then, Marine Aviation Logistics Squadron 31 has participated in numerous unit deployments, carrier detachments, as well as: Operation Desert Storm, Operation Deny Flight, Operation Noble Anvil. MALS-31 is currently in support of Operation Enduring Freedom and Operation Iraqi Freedom. “Marine Aviation Logistics Squadron 36 (MALS-36) is an aviation logistics support unit of the United States Marine Corps. Intermediate Maintenance for the squadrons of Marine Aircraft Group 36 (MAG-36). Activated 2 June 1952 at Santa Ana, California, as Headquarters and Headquarters Squadron Marine Aircraft Group 36, Air Fleet Marine Force, Pacific. Redesignated 15 February 1954 as Headquarters and Maintenance Squadron 36. Marine Aircraft Group 36 assigned during September 1955 to the 3rd Marine Aircraft Wing. Deployed during August 1965 to Chu Lai, Republic of Vietnam, and reassigned to the 1st Marine Aircraft Wing. Participated in the war in Vietnam, September 1965 - November 1969, operating from Hy Ha and Phu Bai. From 1966 to 1969, H&MS-36 was heavily involved in the war in Vietnam. The squadron moved to its present home, Okinawa, with MAG-36 in 1969. MALS-36 also supports the aviation units of the 31st MEU. Activated 2 June 1952 at Santa Ana, California, as Headquarters and Headquarters Squadron Marine Aircraft Group 36. Redesignated 15 February 1954 as Headquarters and Maintenance Squadron 36. Relocated to Futenma, Okinawa during 1969. Deployed to Vietnam 1966. Relocated to Futenma, Okinawa during 1969. Redesignated 1988 as MALS-36, Marine Aircraft Group 36 (MAG 36), 3rd Marine Aircraft Wing (3rd MAW) at Marine Corps Air Station Miramar, California. Participated in Operation Fiery Vigil, Philippines, June 1991. Partcipated in Operation Restore Hope, Somalia, December 1992 - May 1993. Participated in Operation Stabilize, East Timor, September-November 1999 and January 2000” (Ref. http://hma1369.tripod.com/mals36.html & http://www.marines.mil/unit/1stairwing/mag36/mals36/Pages/history.aspx ). MALS-39 was originally activated 14 April 1968 at Quang Tri, Republic of Vietnam, as (Provisional) Headquarters and Maintenance Squadron 39, Marine Aircraft Group 39 (MAG-39), 1st Marine Aircraft Wing and provided administrative and logistical support to the squadrons of MAG-39. H&MS-39 was deactivated in 1969. In 1978 H&MS-39 was reactivated at Camp Pendleton. H&MS-39 was redesignated MALS-39 in 1988. The squadron is tasked with providing Intermediate-level maintenance and administrative support for the squadrons of MAG-39. MALS-39 supports the AH-1W, UH-1N, UH-1Y, and CH-46E. Relocated during October 1969 to Phu Bai. Deactivated 31 October 1969. Reactivated 1 September 1978 at Camp Pendleton, California, as Headquarters and Maintenance Squadron 39, Marine Aircraft Group 39, 3d Marine Aircraft Wing (3d MAW) (redesignation of Detachment, H&MS-16) Redesignated 1988 as Marine Aviation Logistics Squadron 39. Participated in Operation Iraqi Freedom (Mar-Apr 2003)”(Ref. http://hma1369.tripod.com/mals39.html ). Marine Aviation Logistics Squadron 40 (MALS-40) is an aviation logistics support unit of the United States Marine Corps. They are based at Marine Corps Air Station New River, North Carolina and fall under the command of Marine Aircraft Group 40 (MAG-40) and the 2nd Marine Aircraft Wing (2nd MAW). Provide the necessary logistical support including intermediate support, maintenance, ordnance and supply for the squadrons of Marine Aircraft Group 40 and Marine Expeditionary Brigade -Afghanistan. In 2009 a detachment from Marine Aviation Logistics Squadron 26 was sent to Afghanistan as part of the Special Purpose Marine Air-Ground Task Force sent as part of the Marine Corps' force build up. When Marine Aircraft Group 40 was stood up the detachment was redesignated as MALS-40. MALS-40 was relieved by MALS-16 on 18 March 2010 at Camp Leatherneck, Afghanistan in support of Operation Enduring Freedom. MALS-46 provided administrative and logistical support to the squadrons of MAG-46 until deactivated in May 2001. Activated March 1944 at El Toro, California, as Headquarters Squadron 46, Marine Base Defense Air Group 46, 4th Marine Base Defense Air Wing. Marine Base Defense Aircraft Group 46 redesignated 10 November 1944 as Marine Aircraft Group 46. Marine Aircraft Group 46 redesignated May 1945 as Marine Air Support Group 46. Deactivated 15 March 1946. Reactivated July 1962 at MARTD, NAS Grosse Ile, Michigan, as Headquarters and Maintence Squadron 46, Marine Aircraft Group 46, 4th Marine Aircraft Wing, USMCR Relocated during 1965 to MARTD, NAS Brooklyn, New York. Relocated during 1967 to MARTD, NAS Los Alamitos, California. Relocated during 1970 to MCAS El Toro, California Redesignated 1988 as Marine Aviation Logistics Squadron 46.” (Ref. http://hma1369.tripod.com/mals46.html ). Marine Aviation Logistics Squadron 49 (MALS-49) is a reserve aviation logistics support unit of the United States Marine Corps. They are currently based at Stewart Air National Guard Base in Newburgh, New York and fall under the command of Marine Aircraft Group 49 (MAG-49) and the 4th Marine Aircraft Wing (4th MAW). The squadron 49 is the only MALS in the 4th MAW with an active duty core of maintenance and aviation supply personnel. MALS-49 is currently structured with six separate and distinct divisions of maintenance, supporting three separate and distinct sites, along with five flying squadrons. · Provide air transport for personnel, equipment and supplies. · Provide training and support for SMCR units to ensure readiness for mobilization. · Conduct other air operations as may be directed. · Provide intermediate maintenance activity support to the squadrons assigned to MAG-49. · Provide the requisite aviation supply support MAG-49. MALS-49 was activated on 1 July 1969 at Naval Air Station New York in Brooklyn, New York as Headquarters and Maintenance Squadron 49 (H&MS-49). The H&MS unit was relocated to Naval Air Station Lakehurst, New Jersey in 1970 and moved again to Naval Air Station Willow Grove, Pennsylvania in 1972. In 1988, the unit was redesignated as Marine Aviation Logistics Squadron 49 with the headquarters located at NAS Willow Grove. During 1988 detachments were established at Andrews Air Force Base, Washington DC and Naval Air Station South Weymouth, Massachusetts. In 1992, the Marine Aviation Logistics Squadron 42 (MALS-42) detachment located at Stewart ANGB, Newburgh, New York was redesignated as a detachment of MALS-49, bringing the number of sites supported by MALS-49 to four. In February 1994 the MALS-49 flag was relocated from NAS Willow Groove to Stewart ANGB. In 2004, the unit activated reserve Marines in support of Operation Iraqi Freedom to serve as augmentees for MALS-16 when they deployed to Iraq. Activated 31 January 1967 at Santa Ana, California, as Headquarters and Maintenance Squadron 56, Marine Aircraft Group 56, 3d Marine Aircraft Wing, Fleet Marine Force, Pacific. Sub Unit #1 activated 2 September 1969 at MCALF Camp Pendleton. The squadron was tasked with providing administrative and logistics support, and Intermediate Level maintenance to MAG-56 and its squadrons On 2 September, 1969, Sub Unit #1 was formed at Camp Pendleton to support HML-267. H&MS-56 was deactivated 15 July, 1971, and redesignated H&MS-16. (ref. http://hma1369.tripod.com/hams56.html ). Marine Medium Helicopter Squadron 165 (HMM-165) - 1965 - 1975 (the War in Vietnam) Activated 1 July 1965 at Santa Ana, California as MARINE MEDIUM HELICOPTER SQUADRON 165, MARINE AIRCRAFT GROUP 36, III MARINE AIRCRAFT WING” (Ref. http://www.hmm165whiteknights.com/history.htm ). Marine Medium Helicopter Squadron 262 (HMM-262) is a United States Marine Corps helicopter squadron consisting of CH-46E Sea Knight transport helicopters. The squadron, known as the "Flying Tigers", is based at Marine Corps Air Station Futenma, Okinawa, Japan and falls under the command of Marine Aircraft Group 36 (MAG-36) and the 1st Marine Aircraft Wing (1st MAW). Relocated during May 1971 to Kaneohe Bay, Hawaii, and reassigned to Marine Aircraft Group 24, 1st Marine Brigade. Deployed at various times since the 1970s to the Western Pacific. The 1st Marine Brigade redesignated 30 August 1985 as the 1st Marine Amphibious Brigade. The 1st Marine Amphibious Brigade redesignated 5 February 1988 as the 1st Marine Expeditionary Brigade. After several years based in Hawaii, HMM-262 relocated to Futenma, Okinawa, and reassigned to Marine Aircraft Group 36, 1st Marine Aircraft Wing. It currently alternates with HMM-265 as the Aviation Combat Element for the 31st Marine Expeditionary Unit. Relocated during September 1992 to Futenma, Okinawa, and reassigned to Marine Aircraft Group 36. By 1969, HMM-265 had begun flying the more powerful CH-46D. Further operations included BOLD PURSUIT, MIGHTY PLAY, and DEFIANT STAND. Relocated during October 1969 to Santa Ana, California, and reassigned to Marine Aircraft Group 56, 3d Marine Aircraft Wing. Deactivated 14 November 1970. After three years of combat in Vietnam, HMM-265 was transferred to MCAS Santa Ana and joined MAG-56. HMM-265 was deactivated 14 Nov 1970. HMM-265 was reactivated 1 September 1977 at Kaneohe Bay, Hawaii, and assigned to MAG-24, and assigned to Marine Aircraft Group 24, 1st Marine Brigade. 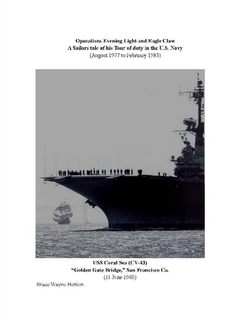 Departed 1 July 1978 on Western Pacific deployment aboard USS New Orleans. Departed 30 July 1979 on Western Pacific deployment aboard USS Tripoli. Departed 27 October 1980 on Western Pacific deployment aboard USS Tarawa. Departed 18 November 1981 on Western Pacific deployment aboard USS Tripoli. Starting in 1983, the "Dragons" began making WestPac deployments, operating from USS New Orleans in 1983 and USS Belleau Wood in 1984. The "Dragons" were the first HMM to have AV-8 "Harriers" attached during a deployment. In 1985 HMM-265 became the first Hawaii-based helicopter squadron to participate in the Unit Deployment Program, moving to Okinawa for six-month deployments 4 February 1985. 1st Marine Brigade redesignated 30 August 1985 as the 1st Marine Amphibious Brigade. Deployed on 4 February 1987 to Okinawa under the Unit Deployment Program. The 1st Marine Amphibious Brigade redesignated 5 February 1988 as the 1st Marine Expeditionary Brigade. During 1990-91, HMM-265 was attached to MAG-50, participating in the first Gulf War, participating in Operation Desert Storm, Southwest Asia, January to February 1991and later Operation Sea Angel, Bangladesh, May 1991. The humanitarian relief effort in Bangladesh in 1991. Relocated to Okinawa during 1994, and reassigned to Marine Aircraft Group 36, 1st Marine Aircraft Wing. The move to Okinawa became permanent in 1995. From October 1999 to January 2000, participated in Operation Stabilize INTERFET (International Forces East Timor). Since then, the "Dragons" have participated in numerous exercises in the Western Pacific, as well as alternating duty with HMM-262 as the Aviation Combat Element of the 31st MEU” (Ref. http://hma1369.tripod.com/265.html ). Marine Medium Helicopter Squadron 268 (HMM-268) is a United States Marine Corps helicopter squadron consisting of CH-46E Sea Knight transport helicopters. The squadron, known as the "Red Dragons", is based at Marine Corps Air Station Camp Pendleton, California and falls under the command of Marine Aircraft Group 39 (MAG-39) and the 3rd Marine Aircraft Wing (3rd MAW). “Activated 15 September 1972 at New River, NC, as MARINE LIGHT HELICOPTER SQUADRON 268 (HML-268). HMM-268 began life in 1972 as a UH-1N squadron, assigned to MAG-29. After only five years of service, the squadron was deactivated. 30 September 1977. Reactivated 1 March 1979 at Tustin, CA, as MARINE MEDIUM HELICOPTER SQUADRON 268 (HMM-268), as a CH-46 squadron and changed coasts. The "Red Dragons" served proudly as part of MAG-16 until 1999, when they relocated to MCAS Camp Pendleton and joined MAG-39. Participated in Operation Iraqi Freedom, Mar 2003-Apr 2003. Throughout the 1990s, HMM-268 took part in numerous exercises and deployed as the Air Combat Element squadron for several MEUs. During this period the "Red Dragons" participated in operations in Somalia, Iraq, and East Timor. During Mar 2003-Apr 2003, and again in 2004, HMM-268 participated in Operation Iraqi Freedom” (Ref. http://hma1369.tripod.com/268.html ). Marine Medium Helicopter Squadron 364 (HMM-364) is a United States Marine Corps helicopter squadron consisting of CH-46E Sea Knight transport helicopters. The squadron, known as the "Purple Foxes", is based at Marine Corps Air Station Camp Pendleton, California and falls under the command of Marine Aircraft Group 39 (MAG-39) and the 3rd Marine Aircraft Wing (3rd MAW). TRANSPORT SQUADRON (LIGHT) 364 (HMR(L)-364). Redesignated 1 February 1962 as MARINE MEDIUM HELICOPTER SQUADRON 364 (HMM-364). The "Purple Foxes" made the first of their three deployments to Vietnam in 1964 as part of Operation SHUFLY, where they flew the UH-34D. Following the second combat tour (1965-66) HMM-364 returned to the US to transition to the CH-46A, which the squadron operated during the third Vietnam combat deployment. Upon its return to the US in 1971, HMM-364 was deactivated 13 April 1971. HMM-364 was 12 October 1984 at Tustin, CA.and assigned to MAG-24 in Hawaii. The next decade brought a move to El Toro, and when that base closed, to Camp Pendleton, where the "Purple Foxes" are now based as part of MAG-39. During 2003 HMM-364 was assigned to 3d Marine Aircraft Wing and participated in Operation Iraqi Freedom” (Ref. http://hma1369.tripod.com/364.html ). “HMR-761 was activated 1 April 1958, at Columbus, Ohio, as the first Marine Reserve helicopter squadron. Following a move to Grosse Ile, Michigan, the squadron was redesignated HMM-761. HMM-761 was deactivated 31 August 1962. Activated 15 April 1958 at Columbus, OH, as MARINE HELICOPTER TRANSPORT SQUADRON 761 (HMR-761). Redesignated 1 April 1962 as MARINE MEDIUM HELICOPTER SQUADRON 761 (HMM-761). Deactivated 31 August 1962 at Grosse Ile, MI.” (Ref. http://hma1369.tripod.com/761.html ). “Dallas based HMM-762 was the second Marine Reserve helicopter squadron to be activated 15 April 1958 at Dallas,Tx, as MARINE HELICOPTER TRANSPORT SQUADRON 762 (HMR-762).. From 1958, until its deactivation in 1962, HMM-762 trained Reservists in the Dallas area. Redesignated 1 April 1962 as MARINE MEDIUM HELICOPTER SQUADRON 762 (HMM-762). Deactivated 31 December 1962” (Ref. http://hma1369.tripod.com/762.html ). HMR-763 was activated 15 April 1958 at Glenview, IL, as the third MArine Corps Reserve helicopter squadron. The squadron was redesignated HMM-763 in April 1962, and deactivated 30 September 1962. Activated 15 April 1958 at Glenview, IL, as MARINE HELICOPTER TRANSPORT SQUADRON 763 (HMR-763). Redesignated 1 April 1962 as MARINE MEDIUM HELICOPTER SQUADRON 763 (HMM-763). Deactivated 30 September 1962” (Ref. http://hma1369.tripod.com/763.html ). Marine Medium Helicopter Squadron 764 (HMM-764) is a United States Marine Corps Senior Reserve medium helicopter squadron consisting of CH-46E Sea Knight transport helicopters. The squadron, known as "Moonlight", is based at Edwards Air Force Base, California and falls under the command of Marine Aircraft Group 41 (MAG-41) and the 4th Marine Aircraft Wing (4th MAW). “HMR-764 was activated as Marine Helicopter Transport Squadron 764 (HMR-764) in 15 April 1958 at Los Alamitos, Ca. On 1 April 1962, the squadron received its current designation. During 1968, HMM-764 had grown to the point that it was briefly split into two squadrons, HMM-764 and HMM-773. HMM-773 was later deactivated and the personnel rejoined 764. HMM-764 relocated to MCAS El Toro, CA during May 1971. During Operation Desert Shield/Desert Storm, HMM-764 was placed on Active status but did not deploy. When El Toro was closed in 1999 due to Base Realignment and Closure , HMM-764 relocated to Joint Reserve Base, Edwards Air Force Base, CA. In 2004, HMM-764 made its first combat deployment to Iraq in support of Operation Iraqi Freedom” (Ref. http://hma1369.tripod.com/764.html ). “Marine Medium Helicopter Squadron 766 (HMR-766) was activated at Minneapolis, MN in 1958 as one of the first dozen Marine Reserve helicopter squadrons. For the next 18 years, the squadron would train Marine Reservists in the Twin Cities area. HMM-766 was operating the UH-34D when it was deactivated in 1976. Activated 15 April 1958 at Minneapolis, MN, as MARINE HELICOPTER TRANSPORT SQUADRON 766 (HMR-766). Redesignated 1 April 1962 as MARINE MEDIUM HELICOPTER SQUADRON 766 (HMM-766). Deactivated 1 October 1976 (Ref, http://hma1369.tripod.com/766.html ). “HMR-768 was activated 15 September 1958 at NAS Brooklyn, New York, and was based at Floyd Bennett Field. In 1962 the squadron was redesignated HMM-768. HMM-768 won the Marine Air Reserve Training Command's Safety Award in 1965 and again in 1966.After sharing aircraft with Naval Reserve units, HMM-768 got its own UH-34Ds in July 1967; in March 1971 the squadron converted to the CH-46A. HMM-768 relocated to NAS Lakehurst, New Jersey during October 1970. At the time of its deactivation in 1976, the squadron was based at NAS New Orleans. Activated 15 September 1958 at Brooklyn, NY, as MARINE HELICOPTER TRANSPORT SQUADRON 768 (HMR-768). Redesignated 1 April 1962 as MARINE MEDIUM HELICOPTER SQUADRON 768 (HMM-768). Relocated during October 1970 to Lakehurst, New Jersey. Relocated during ? to New Orleans, Louisiana. Deactivated 1976” (Ref. http://hma1369.tripod.com/768.html ). Marine Medium Helicopter Squadron 774 (HMM-774) is a United States Marine Corps medium helicopter squadron consisting of CH-46E Sea Knight transport helicopters. The squadron, known as the "Wild Goose", is a United States Marine Corps Reserve unit based at Naval Station Norfolk (Chambers Field), Virginia and falls under the command of Marine Aircraft Group 49 (MAG-49) and the 4th Marine Aircraft Wing (4th MAW). “HMM-774 was originally formed at NAS Brooklyn in 1958. 1962 brought a redesignation to HMM-774 in April, and deactivation in September. In 1969 HMM-774 was reactivated at Norfolk, VA, where it is still based. In 1990, HMM-774 was placed on active status in 1990 in support of Operation Desert Shield/Desert Storm, and deployed to the Gulf with MAG-26. In 2004, HMM-774 was again activated in support of ongoing operations in Iraq and Afghanistan. Activated 5 September 1958 at Brooklyn, NY as MARINE HELICOPTER TRANSPORT SQUADRON 774 (HMR-774). Redesignated 1 April 1962 as MARINE MEDIUM HELICOPTER SQUADRON 774 (HMM-774). Deactivated 20 September 1962. Reactivated 1 July 1969 at Norfolk, Virginia, as MARINE MEDIUM HELICOPTER SQUADRON 774, Marine Air Reserve Training Detachment, Marine Air Reserve Training Command, Naval Air Stationm Norfolk, Virginia. Assigned during January 1971 to the 4th Marine Aircraft Wing, Fleet Marine Force. Reassigned during October 1979 to Marine Aircraft Group 46 Detachment, 4th Marine Aircraft Wing. Reassigned during June 1980 to Marine Aircraft Group 46 Detachment A, 4th Marine Aircraft Wing. Mobilized during January 1991 in support of Operation Desert Storm and reassigned to Marine Aircraft Group 26, 3d Marine Aircraft Wing. Participated in Operations Desert Shield and Desert Storm, Southwest Asia, January 1991 - April 1991. Demobilized during April 1991 and reassigned to Marine Aircraft Group 46 Detachment A, 4th Marine Aircraft Wing. Reassigned during June 1992 to Marine Aircraft Group 46 Detachment B, 4th Marine Aircraft Wing. Activated during 2004 in support of operations in Iraq and Afghanistan” (Ref. http://hma1369.tripod.com/774.html ). References include List of active United States Marine Corps aircraft squadrons at Wikipedia; others and navy web sites all linked herto. “Heavy helicopter squadrons were first formed in 1966 when the Marine Corps began flying the heavy lift CH-53 Sea Stallion during the Vietnam War. Their primary role is moving cargo and equipment with the secondary role of transferring troops ashore in an amphibious assault. Most of the squadrons have transitioned to the larger and more powerful CH-53E Super Stallion; however, three squadrons of the original Sea Stallions still remain. The CH-53Es are the most powerful helicopter in the U.S. military inventory today. Due to a reorganization in Marine aviation, HMH-366 was reactivated in 2008 at MCAS Cherry Point” (Ref. of List of active United States Marine Corps aircraft squadrons – Wikipedia & Navy web site).